Dearbhla Fitzpatrick at The Dunamaise Arts Centre, Portlaoise for the launch of the Leinster Fleadh which is being held in Portlaoise Monday 4 July - Sunday 10 July. Picture: Alf Harvey. Traditional Irish music is a legacy that has never died; it is still growing, taught, and appreciated all over the world. It is this legacy that will be celebrated throughout the counties of Leinster in the upcoming Leinster Fleadh. The organising branch of Comhaltas Ceoltóirí Éireann is working hard to ensure a great weekend of traditional music. The event will bring 5,000 competitors to the province which will consist of enthralling traditional music sessions with musicians of all ages and instruments of all sizes, with competitions for everybody. 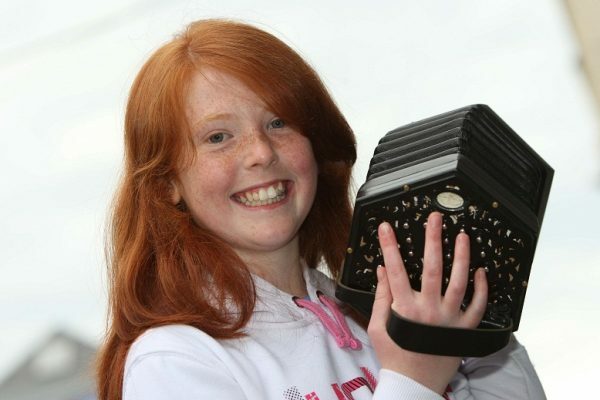 This year’s Leinster Fleadh which is taking place in Portlaoise from July 4th – July 10th was officially launched on Saturday the 11th of June. The launch was followed by a Celebratory Concert featuring Laois All-Ireland Fleadh winners during the 60 year history of Comhaltas. Speaking at the launch Committee Chairman PJ Phelan said “there was no better way to show what the Fleadh is about, we are not stopping with Competitions and indoor events, there will be a street festival where the public will be entertained free of charge on the Main Street”. Martina Gorman and Mary O'Reilly at The Dunamaise Arts Centre, Portlaoise for the launch of the Leinster Fleadh which is being held in Portlaoise Monday 4 July - Sunday 10 July. Leinster has all the necessary facilities to make this event a great success and the organising committee looks forward to welcoming many musicians and visitors to the province for what promises to be a fantastic few days of Ceol agus Craic. 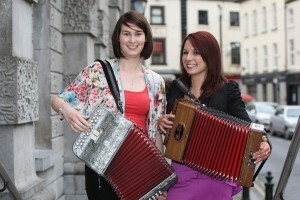 The Leinster Fleadh festivities will commence on Monday 4th. To capture the culture of Leinster, the Organising committee of the Leinster Fleadh have arranged a walking tour of Portlaoise titled ‘Place in History – Walk and Talk Tour’ which begins at 7pm at the County Hall. On Wednesday at 6.30pm the ‘Tour by Vintage Car’ will take place from the county hall although be advised that passengers will be carried subject to availability. Music sessions begin on Tuesday in PJ Kavanagh’s Lounge with CCÉ Portlaoise kicking things off at 8.30pm. On Thursday the sessions in PJ Kavanagh’s Lounge will continue with CCÉ Camross. All musicians are welcome and the event is free! The Leinster Fleadh festivities will continue On Thursday, Friday and Saturday with the Singers Club which begins at 10pm until late. If you feel like taking part in some story telling or singing then join us upstairs in Kavanaghs. Saturday and Sunday’s jammed packed schedule has plenty of variety and entertainment. There will be a child play area in the Market Square between 2pm and 6pm on both Saturday and Sunday. "The Furious Brothers".at The Dunamaise Arts Centre, launching the Leinster Fleadh which is being held in Portlaoise Monday 4 July - Sunday 10 July. 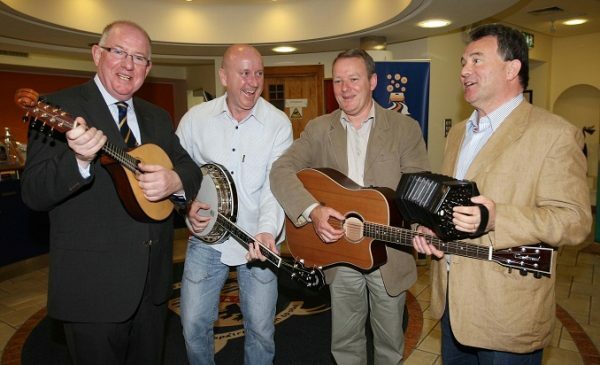 From left: Deputy Charlie Flanagan, Senator John Whelan, Deputy Brian Stanley and Deputy Sean Fleming. Picture: Alf Harvey. Set Dancing with the Five Counties Ceili Band takes place on Saturday in the Dunamasie Theatre from 8pm until 11pm and admission is €10. On Sunday at 2pm in Main Street there will be Step Dancing demonstrations by Lynam and Buggy Schools. This is followed by Open Air Dancing which takes place between 3pm and 6pm on Lower Square. The Marching Bands Competition will run between Parade Market Square to Fitzmaurice Plaza venue and back again and this will begin at 2.30pm on Sunday. The main stage on Saturday and Sunday will feature some fantastic performances from Goitse on Saturday at 7.30pm, Mick Foster & Friends on Sunday at 2.30pm and closing with Senior Band Winners on Sunday at 7.30pm. Traditional Fleadh competitions will commence on Saturday at 10am and continue through to Sunday. The competitions promise to showcase talent from all across the province and the judges will have a difficult task ahead this year. Organisers of the Leinster Fleadh and Comhaltas Ceoltóirí Éireann branches in the province, invite everyone along to enjoy the activities.